A woman accused of causing the death of a young learner driver is claiming she lost consciousness behind the wheel due to the diet she was on. Patricia Aitken, 54, of High Street, Melrose, pled not guilty to driving carelessly on the A6091 in August 2009. She denied a charge alleging her car collided with one being driven by Suzanne Harkness, 22, killing her and injuring driving instructor James Egan. A trial was due to take place on 18 January but will now start on 15 March. Ms Aitken's lawyer, Rory Bannerman, told Selkirk Sheriff Court the implication was that his client had fallen asleep at the wheel on the Melrose by-pass in the Borders. The defence team wants to commission an expert report on eating disorders to prove that her losing consciousness due to the diet she was on was a reason for the accident. A later trial date was agreed to allow the defence more time to obtain the report. 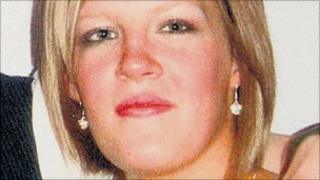 Ms Harkness, an office worker from Galashiels, was taking part in a driving lesson when the accident occurred. She was rushed to Borders General Hospital for treatment, but her injuries were too severe and she died a short time later. Mr Egan, her instructor, suffered a neck injury and was transferred to a hospital offering specialist treatment in Glasgow.